Below is your guide to determine your San Diego "skill level" should you should attempt to ride these specific areas. Simply click on each level to see if you have the skills and meet the requirements. Please do not attempt to ride any area above your skill level shown below. San Diego is a very populated area and we do not have the right to endanger the general public. During summer months, and holidays, the "ocean areas" are considered "Advance Level Only" riding areas. Please make wise choices and always check in with the lifeguards or park rangers, before setting up your gear, or attempting to ride. Beginners, please take Kiteboard lessons from Manta Water Sports , before attempting any in water, or land activities, with these kites. What skill level of rider are you? You are NOT allowed to ride in any other areas of the ocean or bay !!! 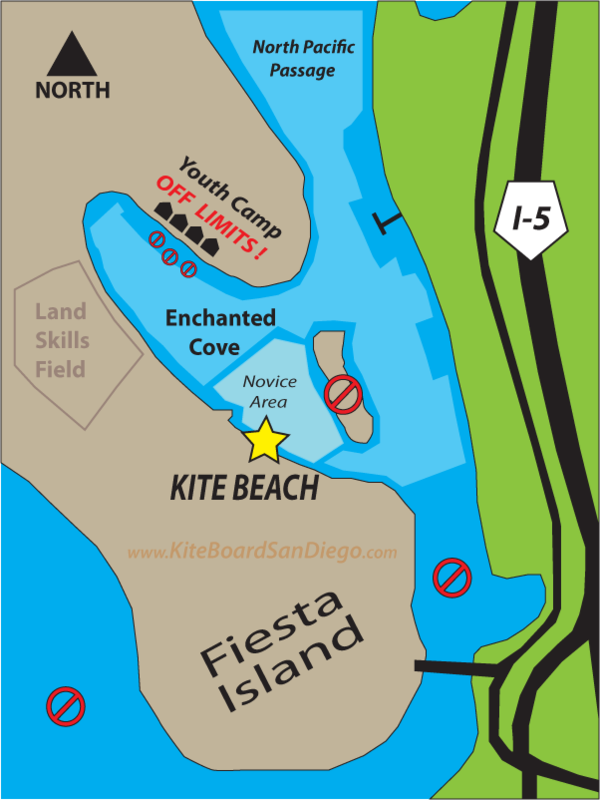 Manta Wind & Water Sports is the only IKO & PASA certified kiteboarding instruction available in all of San Diego. 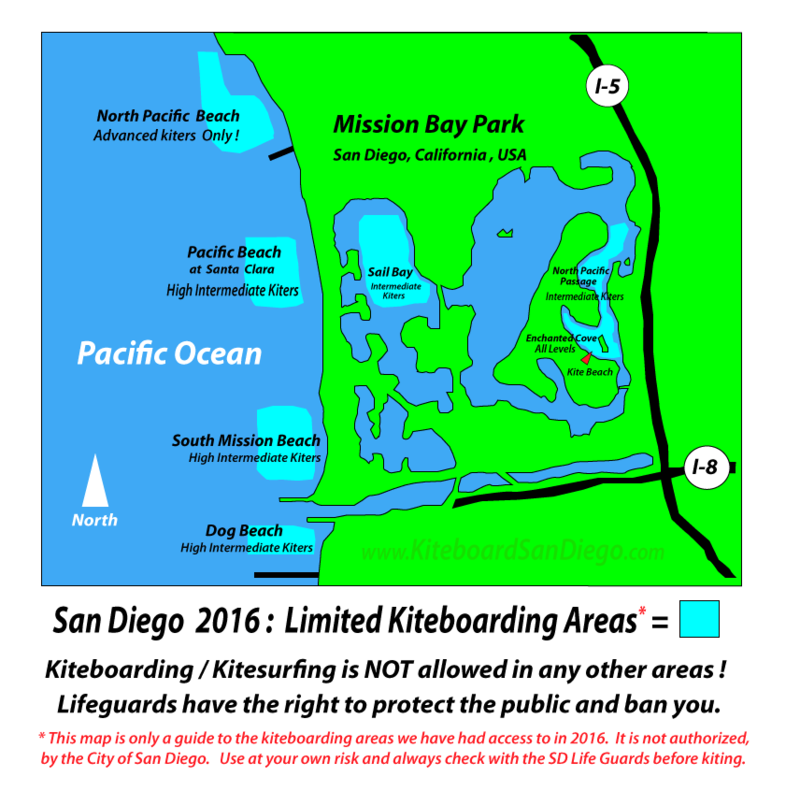 Thanks and have a safe and enjoyable time kiteboarding in San Diego!